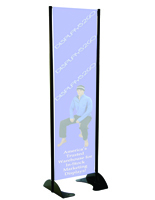 This 16” x 72” black permanent banner stand holds a large, custom double-sided sign for a more 3 dimensional display solution. 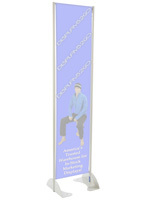 Simply use our downloadable template found below to submit your artwork. 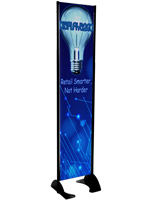 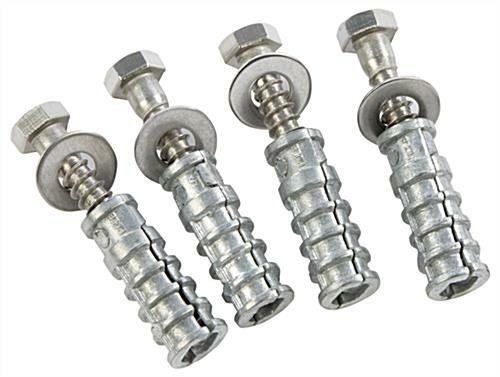 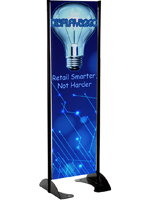 Easily mountable on hard surfaces such as cement and wood, each fixture is perfect for outdoor advertising! 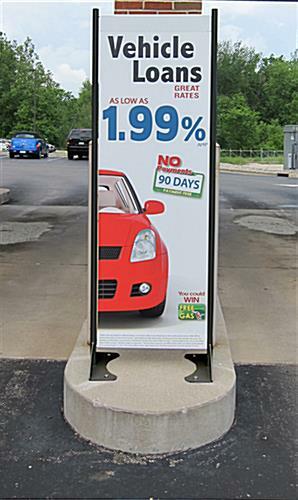 A spring-loaded tension bar allows for a tightly hung yet easily changeable sign. 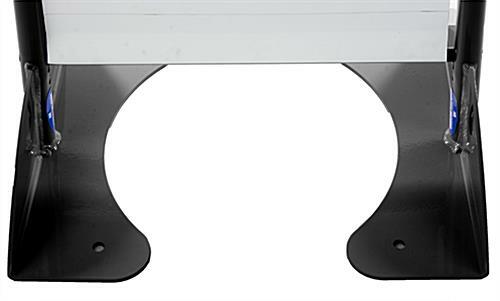 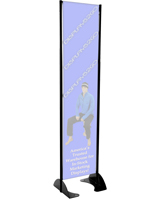 The aluminum banner stand has a powder coating finish for a stylish look. 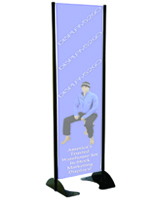 Though designed to be a mountable fixture for outdoor advertising, the flag display can also be used indoors as a free standing display solution. 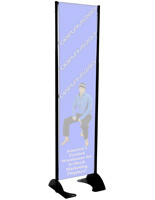 A large banner stand is a great way to have your company’s logo, brand, or message seen by as many people as possible!